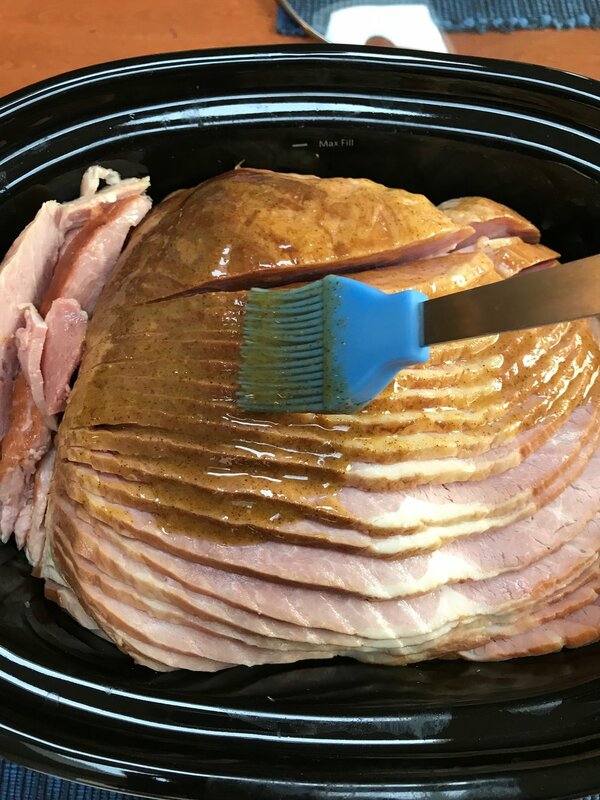 Brush half the glaze on the ham. Cook on low for about 6 hours or until at least 140 degrees. …or you can brush on reserved glaze and broil for about 5 minutes or until nicely browned. You can drizzle juices over ham before serving. 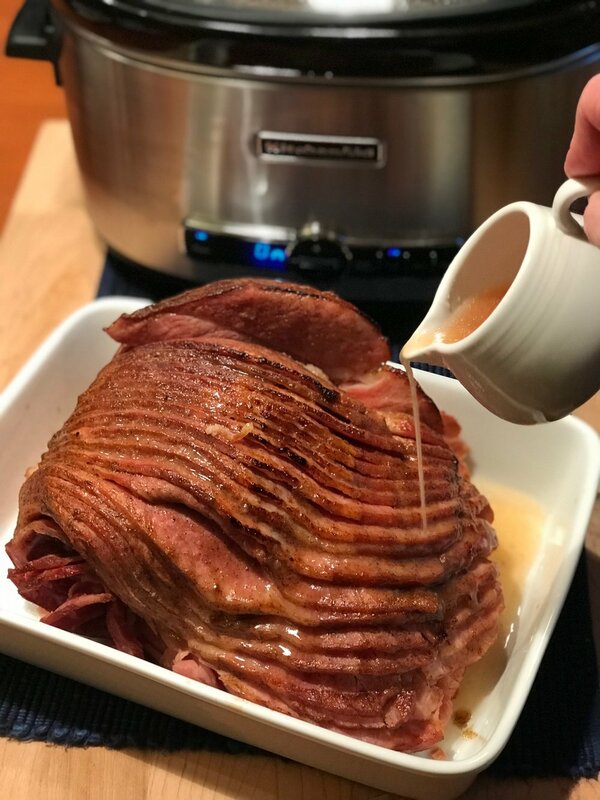 Note: I used a KitchenAid 6-quart Programmable Slow Cooker and a 10-pound spiral sliced ham for this recipe. 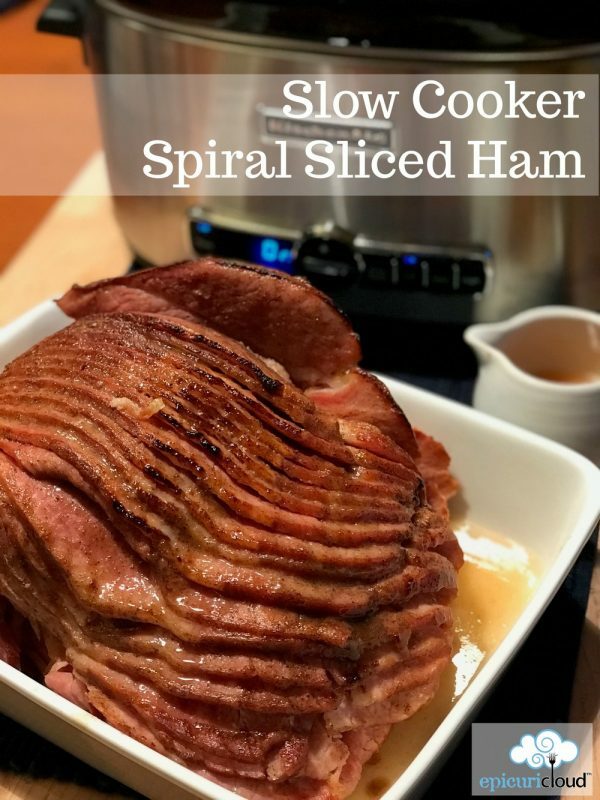 Cook your spiral sliced ham in your slow cooker! It's brushed with a spiced honey mustard glaze. It comes out tender and juicy! 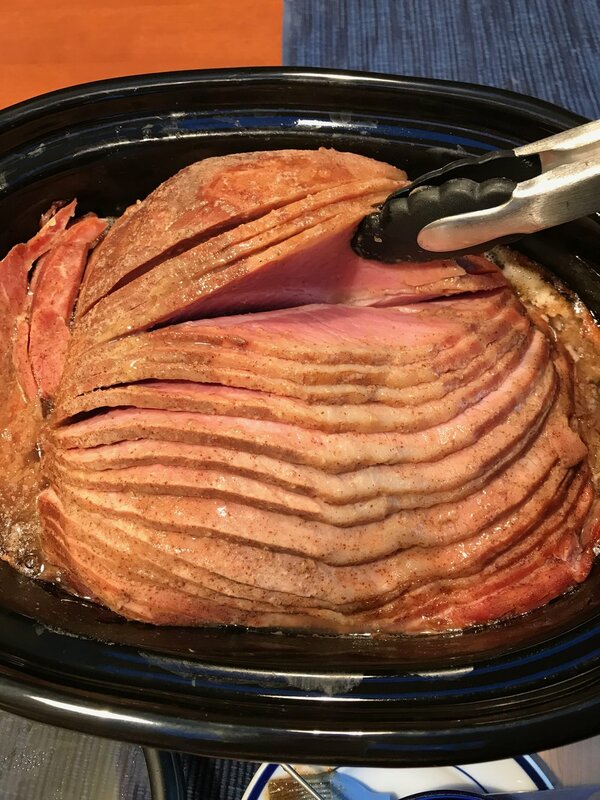 If you'd like to brown up the top of the ham, brush with reserved glaze and broil for a few minutes. In bottom of slow cooker stir together orange juice and brown sugar. 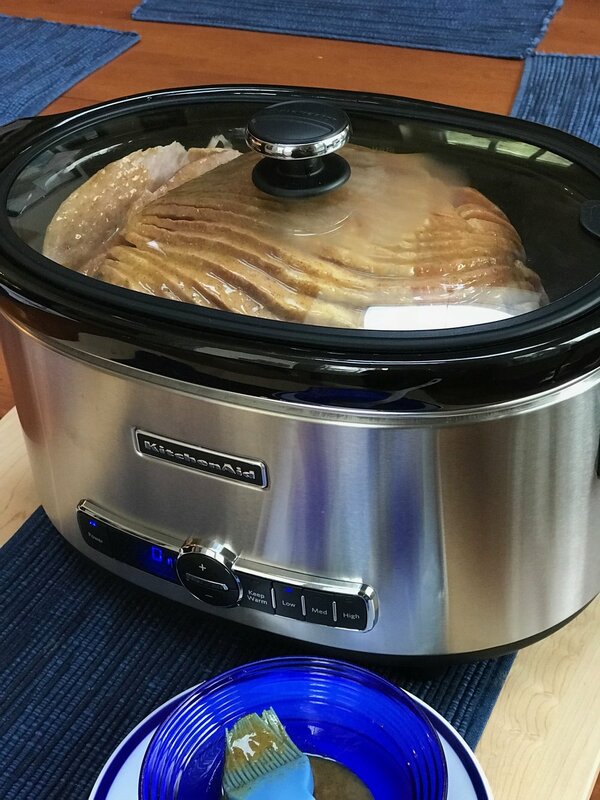 Add ham to slow cooker with slices facing upwards. 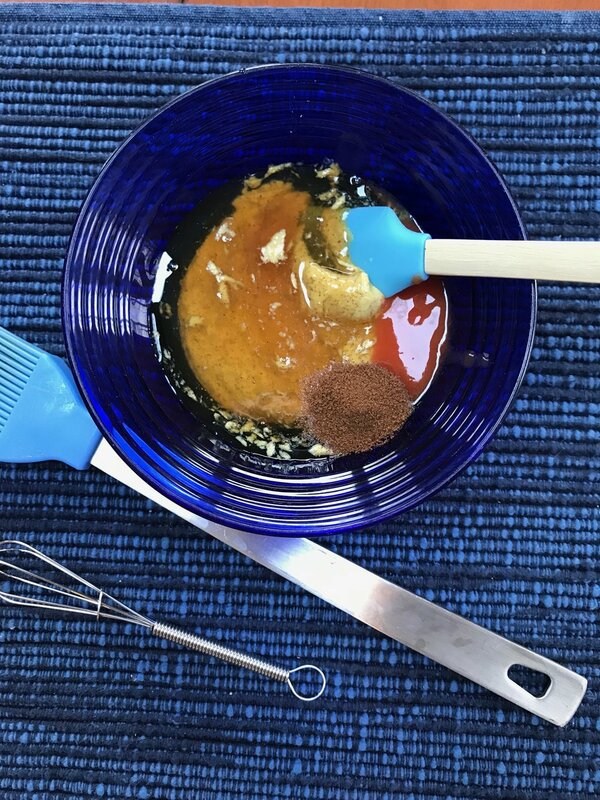 Stir together the glaze ingredients. Brush half over the top of the ham and reserve the rest. 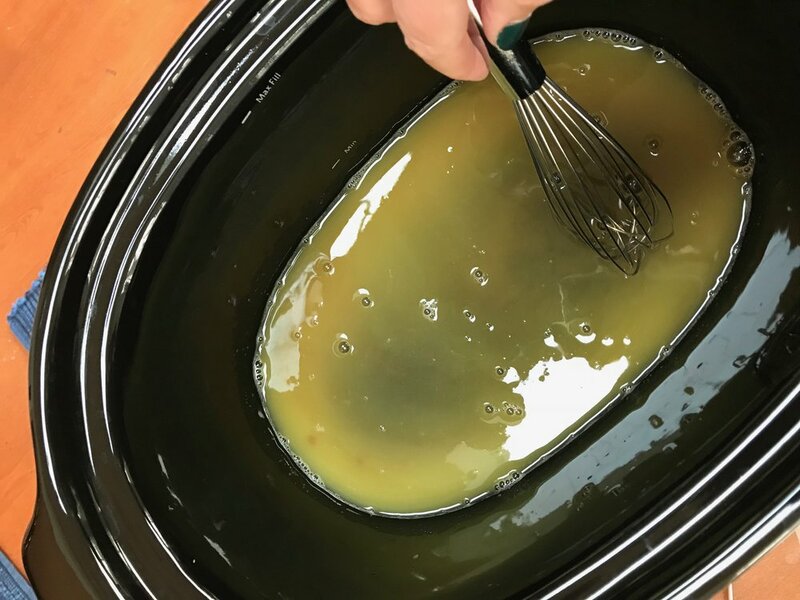 Set slow cooker to low, cover (I used the lid seal) and cook for about 6 hours or until ham reaches an internal temperature of at least 140 degrees F.
If desired, when the ham is finished in slow cooker, you can remove to an oven/broil safe dish/pan, brush with remaining glaze, then broil about 4 inches from the heating elements for about 5 minutes or until the top is nicely browned. May I ask what brand ham you used. The slices look thick and I like that. OMG. 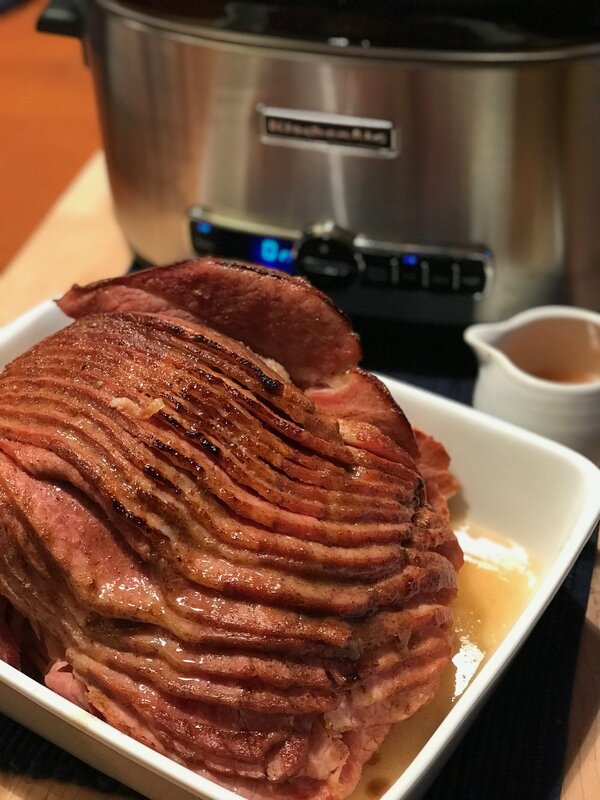 I have new slow cooker with a built in temperature probe, so I decided to use it cook my Christmas ham and free up my oven. I followed the directions. Had to cut off a bit of the 10lb ham and arrange around the sides. I set it for 145 degrees. It was done in six hours. 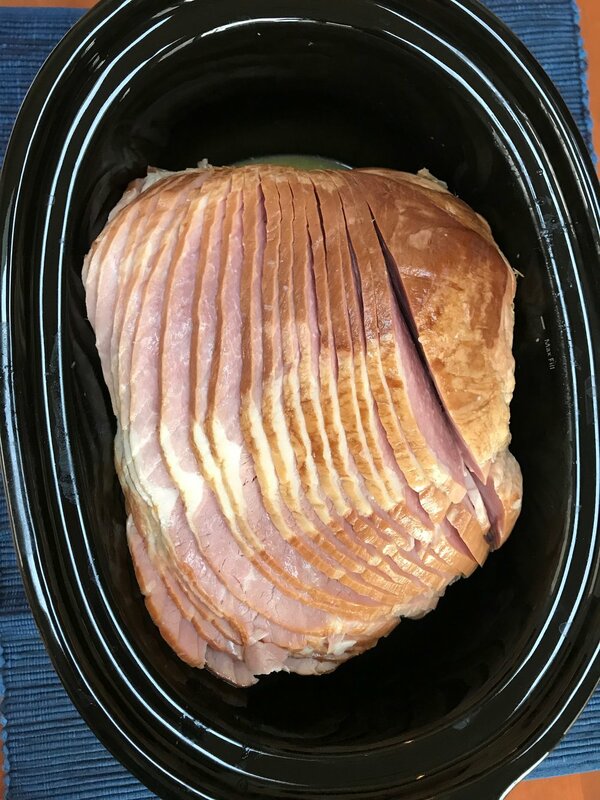 It was absolutely the best ham I have ever tasted. 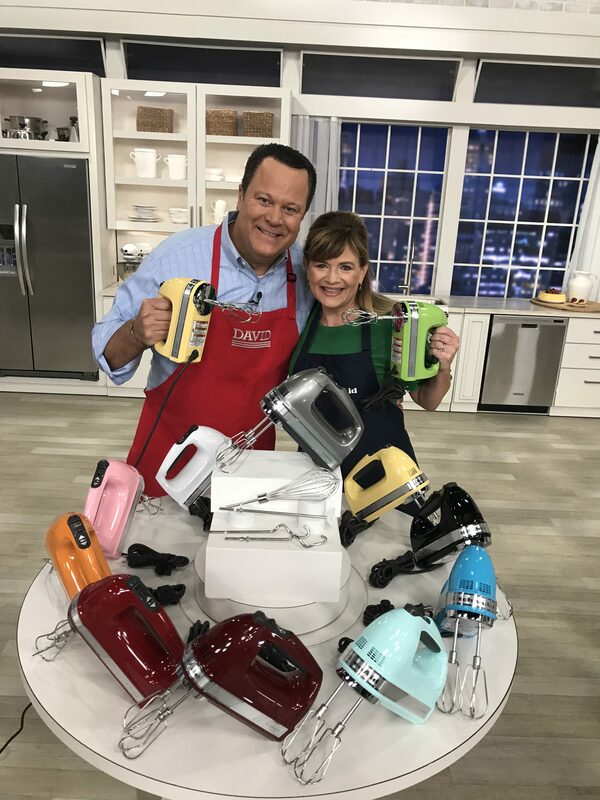 Thank you so much for a perfect recipe. 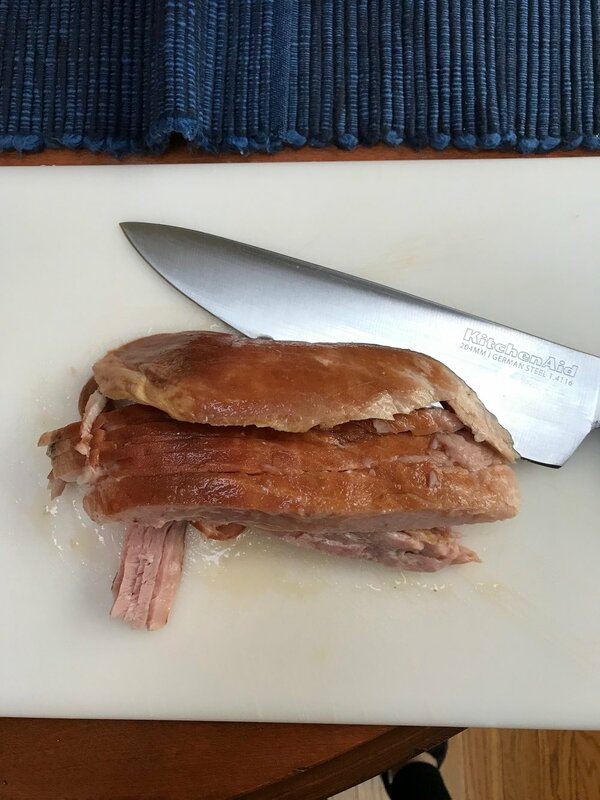 I will never cook a ham any other way. Hi Sherry! So glad to hear!! We loved it too! Hope you all had a Merry Christmas! Take Care!